Interestingly, Finland did develop a version of the Fokker D.XXI with retractable undercarriage. It retracted inwards rather than outwards though. Apparently, the performance gain wasn't as good as hoped. Thanks for the images Greg. Apparently there were two versions of the RW 'Wasp-Fokker' with retractable undercarriages. The 3.sarja FRw-117 was a January 1941 conversion. The 4.sarja FRw-167 was completed with the retractable gear in March 1942. After an undercarriage collapse in July 1941, FRw-117 was converted back to its original gear. FRw-167 was also converted to a spatted undercarriage in the summer of 1944. Fokker's efforts to export the D.26 fighter received considerable attention abroad. Several alternative engines were offered for export versions, including the British Bristol Taurus III or Perseus X and the US Wright Cyclone or Pratt & Whitney Twin Wasp radials. The Bristol alternatives were both planned for use in the Fokker D.24. The Cyclone installation was considered proven by the Hispano-built D.XXI (although Fokker had no performance data for that installation). The Twin Wasp needed to be proven, however, and a trial installation was planned. Estonia, Finland, and Denmark all expressed interest in basic, Mercury-powered D.26s. By May 1940, no orders had been received from the former pair - although Finland would later operate the D.26. The strongest interest came from Denmark. In 1940, the Danish navy was looking for modern, monoplane fighters to replace obsolete Hawker Nimrod biplanes (L.B.V aka 'Nimrod-jagerfly'). Orlogsvæft, the Naval Aircraft Factory, proposed an original design. However, the stated preference of the Marinens Flyvevæsen (MF) was the Fokker D.XXI for commonality with the Hærens Flyvetropper (HF, Army Aviation Troops). Marinestaben (Maritime Staff), on the other hand prefered the Macchi MC.200 ('C.200 jagerfly') with its more modern retractable undercarriage. A procurement stalemate ensued. For both services, the NFJT would be known as the D.26D (although, within HF planning, terms like IVJ, 'Tredje jagerfly', and 'Hærens Flyvertroppers 4. jagertype' would also be used). The first D.26D to enter service were meant to be with the MF's 2.Luftflotille at Luftmarinestation Avnø (80 km SW of Copenhagen). The D.26D was to be powered by a Mercury VIII and armed with four 8 mm Madsen machine guns. Unfortunately for the Danes, work on the new 'Fokker-jageren' had only just begun in April 1940. The MF's 2.Lf went to war flying obsolete L.B.V 'Nimrod-jagerfly'. The HF's Fokker D.XXIs were largely destroyed on the ground by Luftwaffe attacks on Værløse airfield. Une chasse de Fokker pour l'Armee de l'Air? A Cyclone-powered Fokker - the D.26 JI - had been proposed for the Netherlands East Indies. As with the fixed-gear D.XXI before it, the KNIL continued to lean towards more expensive American designs. As war in Europe loomed, the 'Jager Indie' design was revamped for potential export. The Cyclone-powered D.26F was an unsolicited bid to provide a fighter to the French military. The D.26F was to be and armed with four synchronized 7,5 mm FN-Browning machine guns. Fokker saw its D.26F as a superior 'colonial fighter' - ie: a replacement for the rival Koolhoven F.K.58. But the D.26F was also pitched to the French as a less expensive substitute for the Curtiss 75A fighter. Unlike the Koolhoven, the D.26F would place no stress on French engine suppliers. Although the French STAé reported favorably on the D.26 generally, the Armée de l'Air showed no immediate interest in Fokker's unexpected proposal. An American-engined D.26 was more tempting for Norway (which was suffering from 'sticker shock' on its panic-buy of Curtiss 75A-8s). A Pratt & Whitney engine would have been desirable for Norway - for its commonality with the Curtiss fighter. Unfortunately, the Twin Wasp-powered D.26 had yet to be offered. The single-row Cyclone was simpler to adapt to the D.26 airframe and Norway badly needed a monoplane replacement for its Gloster Gladiators. Negotiations for the purchase of a dozen Norwegian 'Cyclone-Fokkers' were underway when Germany invaded the country. Interest in the 'Cyclone-Fokker' also came from other nations less capable of paying for new fighter aircraft - including Portugal and Greece. More serious attention came from Sweden which was interested in a Twin Wasp-powered variant. Sweden had just been frozen out of its American fighter purchases by a US embargo. Alas, the Netherlands was overrun by the Germans before details could be finalized for a Swedish purchase. A D.26 Twin Wasp conversion was nearing completion at the Fokker factory when it was destroyed by Luftwaffe bombing. At Fokker, the planned 'D.26 (Denemarken)' or 'D.26/Deense marine' was regarded as a D.26 1e Serie derivative. Plans existed to form a new fighter Eskadrille but the HF had also become interested in the D.XXI/k ground-attack fighter concept. No final decision had been made by 09 April 1940. The F.K.58 was designed by former-Fokker chief designer, Dr-Ir Erich Schatzki. As a German of Jewish origin, Dr-Ir Schatzki may have regretted his 1938 move to N.V. Koolhoven Vliegtuigen. Frits Koolhoven would later join the Nationaal-Socialistische Beweging, a Dutch Nazi movement. Greece had also enquired about Gnome-Rhône 14K-powered D.26s (for commonality with its PZL P.24s). Fokker judged that there would be a limited market for such a variant and substitutes were impractical - the Gnome-Rhône 14N having no facility for synchronized gun mechanisms. One D.26 3e Serie fighter was taken from the production line for completion as an alternative engine testbed. In the initial plan, D.26 nr. 383 was to trial the installation of a 1,350 hp Bristol Hercules III radial as intended for the Fokker D.22 (Ontwerp 150 variant). This concept proceeded only so far as a mockup installation of a dummy engine. There had been some doubts expressed by the MvD's Chef der Wetensch.Afd. (Head of the Science Department) as to whether the D.26 airframe was too light for the heavy Bristol engine. Before a definitive conclusion could be drawn, another priority rose to the top of the list - preparing current-production Dutch aircraft for alternative powerplants. This was to circumvent concerns of engine supplies from European combatants drying up due to embargoes on neutral countries or other wartime actions. The proposed alternative engine for the D.26 (and the projected Fokker D.24) was the 1,100 hp US Pratt & Whitney R-1830-G205A Twin Wasp. A variant of Twin Wasp was already in LVA service, powering the Northrop 8A attack aircraft attached to 3e JaVa. In late March 1940, work began at the Fokker factory to convert nr. 383 to 'Wasp-D.26' standard. This Twin Wasp conversion remained incomplete when German bombing of the Fokker factory on 12 May 1940 destroyed the aircraft. Fokker had first put forward a replacement concept for the D.XXI back in 1937. The proposed D.22 looked superficially like a D.XXI with a retractable undercarriage but there was no commonality. 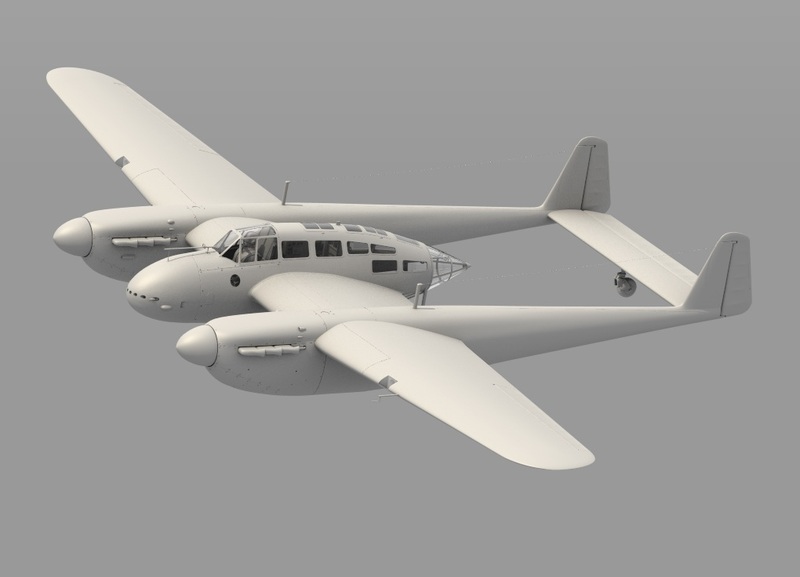 As initially planned, the D.22 was marginally larger, with a full metre of additional span. More importantly, the traditional Fokker mixed construction was to be replaced with a stressed-skin metal structure. The D.22 could be powered by either an air-cooled radial or liquid-cooled V-12. The air-cooled variant - or Ontwerp 150, to give it its project designation - was to be powered by a Bristol Hercules radial. The liquid-cooled type - or Ontwerp 151 - would have either the German Daimler-Benz DB 600H or the British Rolls-Royce Merlin. By 1939, the D.22 concepts had been joined by a rather less ambitious project - the D.24 or Ontwerp 192. The 'domestic' LVA and MLD had slightly clearer ideas on future fighters. It had become clear that the only advantage of the D.22 was its ability (in Ontwerp 150 form) to accommodate the big Hercules radial engine. However, Bristol informed Fokker that local demand for Hercules was growing while demand on the smaller Taurus radial was not. As a rationalization, the Ontwerp 150 was dropped from the program. The Ontwerp 151 was then revised to adapt liquid-cooled engines to a smaller, D.24-style airframe. The rival British engine had no motor-kanonne capability but still had several advantages from the points of view of both the MvD and Fokker. The Ministrie van Defensie had a successful procurement relationship with Rolls-Royce dating back to 1919. Fokker also had a successful association with Rolls-Royce - especially through the Derby's supply of Kestrel engines through the 1930s. The Merlin also had a higher thrust-line than the Daimler - an important factor on the Netherland's grass airfields. The Fokker D.24 (Ontwerp 192) design was adjusted somewhat for maximum commonality with the revised D.22 airframe. Emphasis was now on the Taurus-powered Ontwerp 192T with the Perseus-powered Ontwerp 192P as a backup. US engine alternative variants were, respectively, the Twin Wasp-powered Ontwerp 192W and the Cyclone-powered Ontwerp 192C. All versions of the D.24 fighter were planned with machine gun armaments. The Fokker D.24 was a good design but it is unlikely that it would have provided much advantage over the in-production D.26. A better bet might have been the D.22/Ontwerp 151M. With the added performance of this Merlin-powered D.22, this fighter would have complemented the serving D.26s. As it was, Fokker already had too many projects on its plate and an all-metal fighter was beyond its reach in 1940. It was hoped that the KNIL would accept the D.24 - in its Cyclone-powered Ontwerp 193C form - for its Indische Jachtvliegtuig contest. In the end, the 'Indië-Jager' program was dragged out until the only fighter available to the ML/KNIL was the indifferent Curtiss-Wright Demon. The only Taurus-powered RAF type in production was the Bristol Beaufort torpedo-bomber. The default choices were Madsen cannons in 20 or 23 mm calibre. The 20 mm Oerlikon FF had been trialled in the first production Finnish D.XXI and was found wanting in performance. Plans existed for the production of a 5e Serie batch of D.26 fighters for the Marine Luchtvaartdienst (Naval Air Service). The MLD placed an order for twelve Fokker D.26 5e Serie but only minimal work had begun on these aircraft at the time of the German invasion. The MLD anticipated delivery of its first 5e Serie fighters (with full naval equipment) in late July 1940. The MLD's D.26s were to be delivered to De Kooy (near the Den Helder naval base). None were completed but several marinevliegers flew as temporarily-assigned members of the LVA's 1e JaVa - including triple-scorer Andrias van Rest of the MLD's 2-VIG-IV. The proposed Fokker D.26 6e Serie was held as a possibility by the MvD should delays continue with development of Fokker's more powerful, all-metal D.22 and D.24 fighter series. At the time of the German invasion, no firm decisions had been made as to whether the 6e Serie would be powered by the British Mercury or US Twin Wasp engine. Similarly, no definitive armament choices had been made (although it is generally assumed that four synchronized 13,2 mm FN-Browning guns would be fitted). From the beginning, it was planned to incorporate elements from Fokker's more advanced D.22 and D.24 projects into the D.26 series fighters. What most limited the potential of the D.26 was the Mercury engine inherited from the D.XXI. The installation of more powerful engines was all but inevitable. Another D.26 derivative with engine-supply issues was the SD.2 two-seat trainer. This could be thought of an advanced version of the D.XXI-based SD.1 trainer. 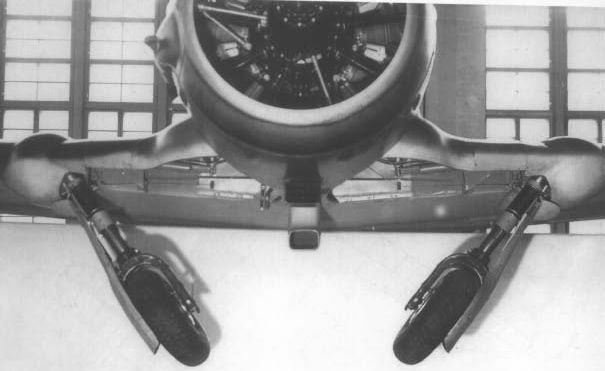 D.26 wings were to be used complete with their fully retractable main undercarriage members. In place of the SD.1's bulky radial engine, the SD.2 was originally planned to have the more streamlined Walter Saggita air-cooled inverted V-12 from the Fokker D.23 fighter. Two Saggita-powered variants were planned - the unarmed SD.2A and the SD.2B armaments trainer fitted with twin, cowl-mounted 7,9 mm FN-Brownings. The Saggita-powered SD.2 concept was put in peril when Germany occupied Bohemia-Moravia - the site of the Walter plant - in March 1939. Fokker immediately began a redesign for alternative engines. The Italian Isotta-Fraschini Gamma was rejected as an immature design while the Menasco E12SG Brigand failed to appear at all. This left the bulkier American Ranger V-12 as the only suitable substitute engine. As before, two variants were planned - the unarmed SD.2C and the SD.2D armaments trainer. Technically, Maritiem Vliegkamp De Kooy was a naval airfield. It was 1e JaVa which acted as a lodger unit. The D.22 (Ontwerp 151) had the option of a Daimler-Benz alternative - the British Rolls-Royce Merlin. However, the D.27's synchronized, fuselage-mounted armament would prevent such a substitution. The D.23 was, itself, being eclipsed by the single-engined D.29 fighter. Influenced by Theo van Slot's De Schelde S.22 design, the D.29's now-engineless nose was redesigned with an emphasis on the ground-attack role. (Top) A disabled Fokker D.21/k shot up on Schouwen by retreating Dutch troops. Note that, like several 1e GroAanVa D.21/ks, nr. 233 has had its spat fairings removed. Despite varying degrees of battle-damage, seven of the D.21/ks recovered successfully to [/i]Vliegveld[/i] Vlissingen. However, the fuel tank of nr. 233 had been holed and, low on petrol, 2.lt-vl SJ Postma had to put his Fokker down in a farmer's field near Zierikzee on Schouwen. The pilot was able to arrange a boat ride across to Nord-Beveland and, from their arrange transport back to Walcheren. Postma rejoined 1e GroAanVa but no time or energy could be invested in repairing nr. 233. Dutch reservists on Schouwen guarded the abandoned D.21/k, expecting a recovery attempt by the LVA. But, when German troops began landing on the island on 13 May, it was clear that quick action was required. Empty fuel tank precluded setting the aircraft ablaze. Instead, the Dutch soldiers shot at what they assumed to be critical points before disposing of their small arms. An advance patrol of German Feldpolizei captured nr. 233 but the D.21/k's flying says were over. With De Kooy airfield in flames, 1e JaVa survivors, Sergeants Jaap Eden and PJ 'Oppe' Aarts  engaged a formation of KG 4 Ju 88A bombers heading for Den Helder. Aarts engaged the lead bomber, seeing pieces fly off as he swept past. A second Junkers was also damaged as he emptied his magazines into the bomber. Sgt-vl Jaap Eden wasn't as lucky. Overly intent on his first target, Eden collided head-on with the Ju 88. Both aircraft fell into the Marsdiep tidal-race between Den Helder and Texel Island. (Bottom) Res.sgt-vl Aarts' D.26 1e Serie down on the De Vlijt airstrip on Texel. The name painted on nr. 243's forward fuselage was 'Helsdeur' (Hell's Door), a pun on the name of Den Helder where 1e JavA was based. The 'Helsdeur' name was applied by the 1e JaVa commander 1.lt-vl HAJ Huddleston Släter, the fighter's previous 'owner'. Huddleston Släter was wounded when cannon strikes from a Bf 109 hit around the cockpit. That accounts for some of the extensive evidence of emergency battle-damage repairs prior to D.26 nr. 243. Having lost his own fighter,  Aarts took over nr. 243 when the 1e JaVa commander was hospitalized. Some of that damage was done by Ju 52/3m gunners on the ground but Waalhaven's four Spandau M.25 heavy machine guns were the most effective. It's not clear when nr. 233 lost its portside cannon fairing - it may have been part of an attempt to sabotage the Madsen gun. Petrus Johannes Aarts' nickname was a play on his surname (aarts = chief, opperste = supreme). In the summer of 1940, the Germans recovered D.26 nr. 243 from Texel. It was later broken down for spares before being sold to Finland. D.26 nr. 247's engine had been hit by defensive fire from a Do 17Z early on 11 May. Aarts diverted to the relief field at Ijselmeer but, with a windscreen covered in oil, he was unable to see obstacles placed on the airfield to prevent enemy glider landings. Several captured D.26s were tested by the Germans as potential fighter-trainers for Luftwaffe use in the Netherlands. Perfunctory trials were undertaken at Schiphol before the RLM declared the D.26s surplus to Luftwaffe requirements. 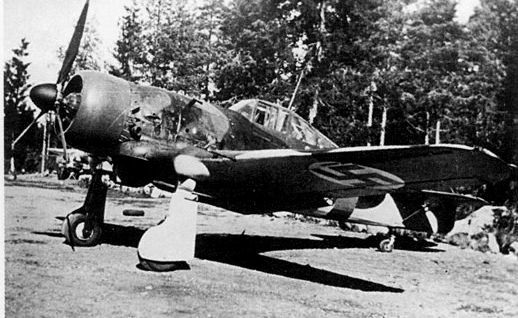 Shortly afterwards, the Germans offered the available D.26s to the Finns. 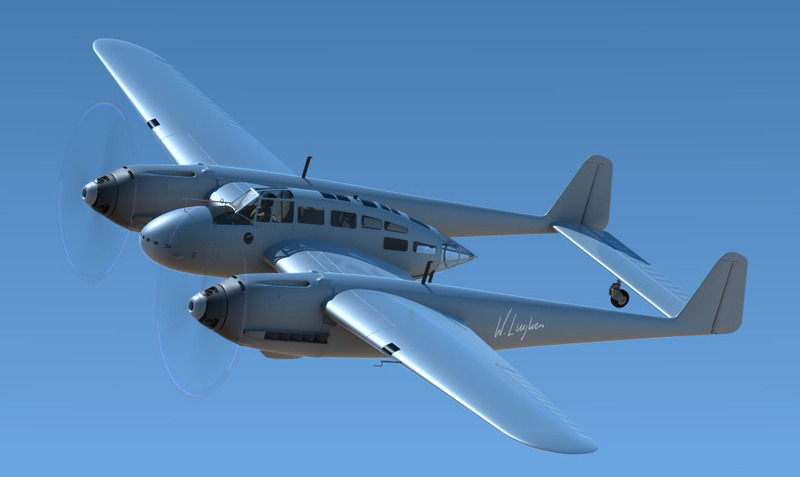 In mid-1942, the Finnish Air Attaché in Berlin had approached the Luftwaffe about the possible sale of ex-LVA Fokker D.XXIs and spares to the Ilmavoimat. By this stage, the Germans had access to superior fighter trainers and were content to rid themselves of the remaining D.XXIs. At the same time, the RLM offered the remaining D.26s in German hands as another potential sources of spares for Ilmavoimat D.XXIs. The Finns happily accepted these German 'war spoils'. The Ilmavoimat placed both ex-Dutch D.XXIs and D.26s into active service. Of the dozen D.XXIs, four were in rough enough condition to be broken up for spares. A well-worn 2e Serie D.26 was also reduced to produce to keep the other six flying. Finnish D.26s were dispersed amongst 2/TLeLv 12 (an Operational Training Unit), 1/LeLv 32, and 3/TLeLv 35. For the fighter-recce role, several D.26s were fitted with 'Wasp-Fokker'-style extended canopy glazing. One aircraft (FRm-147) was trialled with a Finnish-devised belly bomb rack. (Bottom) A refurbished 1e serie (1.sarja) D.26 with 3/TLeLv 35. Note that this D.26 has inherited a cowling from a VL-built D.XXI, gained a new Revi gunsite, and has a tail ski fitted. FRm-147 shows evidence of former 'ownership' by LeLv 32. At one stage, Valtion Lentokonetehdas (VL, the State Aircraft Factory) considered putting a reverse engineered 3.sarja D.26 into production at Tampere. Mercury engines were in short supply, so the Finnish D.26 was to be powered by Soviet 1,100 hp M-63 radials bought - like the ex-LVA D.26s - from German 'war booty' stocks. In the end, it was decided to proceed with the domestic Myrsky fighter design instead. This proved an unfortunate decisions as Myrsky development was troubled and prolonged with the VL fighter never seeing combat action with the Ilmavoimat. In Finnish service, the Mercury-engined D.XXI was dubbed 'Ukkomokkeri' (Lighthouse) or 'Isämokkeri' (Father Mokker). For unknown reasons, the D.26 picked up odd nick-names in Finnish service. One was 'Murikka' (Mushroom), another was 'Noita' (Witch). A third, rather more flattering nickname was 'Lumikki' (Snow White) - perhaps derived from the all-over white camouflage in which the Finnish D.26 first served. Two 'Lumikki' fighters - both 3.sarjan airframes - survived the Continuation War to serve postwar with 2/LLv30 as advanced trainers. It was thought that the D.26's outward-retracting main undercarriage might make it a useful advanced trainer leading to the Bf 109. This idea was dropped when it was realized that the handling characteristics of the German fighter were completely different from those of the D.26. The VL Myrsky used fewer strategic materials - being of primarily wooden construction - and was powered by the more reliable Swedish-made SFA Twin Wasp SC3-G engine. Very nice, Apophenia! Think you'll do a version of the D.27DB with its shirt on? Thanks Logan! Here is a revised view of the proposed D.27DB accompanied by an impression of what the D.27 might have looked like had it entered LVA service. I'm assuming that the cowling would have looked similar regardless of whether the DB 600H or DB 601A engine was chosen. The 'operational' aircraft is shown with DB 601Aa engine, MG FF motor-kannone, and twin cowl-mounted 7,9 mm FN-Brownings. The smaller machine guns would be dictated by continuing supply problems with the 13,2 mm FNs. On the other hand, the Luftwaffe didn't seem all that impressed with the engine-mounted MG FF. So, if the Nazis had respected Dutch neutrality, other D.27 variants can be imagined. Perhaps, once 13,2 mm supplies improved, three heavy machine guns with one firing through the propeller hub? Or, possibly, just twin 13,2s with a DB 601N for higher intercept performance for deterrence? Hmmm...those alongside some similarly powered Fokker G.1s would be interesting. (Top) The last of four pre-production Fokker G.1Ds, production line conversions of semi-completed G.1A fighters for Republican Spain. G.1D models had wing centre-section coolant radiators mounted on either side of the crew nacelle. Armament was 8 x forward-firing 7,9 mm FN-Brownings and one flexible FN gun in the tail cone mount. (Bottom) One of six production-model Fokker G.4 fighters completed before the German invasion. G.4s had their coolant radiators moved to the outer wing panels. Armament was 4 or 6 x forward-firing 13,2 mm FN-Browning machine guns and one flexible 7,9 mm FN in the tail cone.